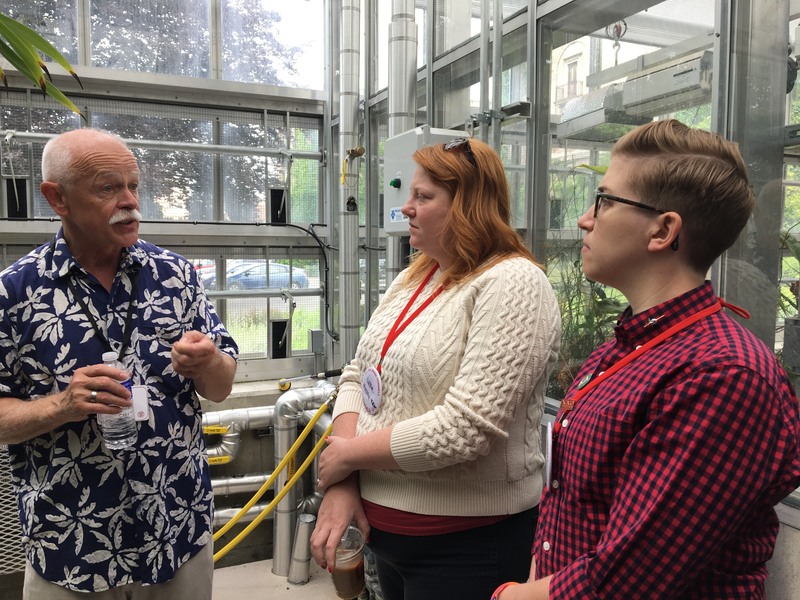 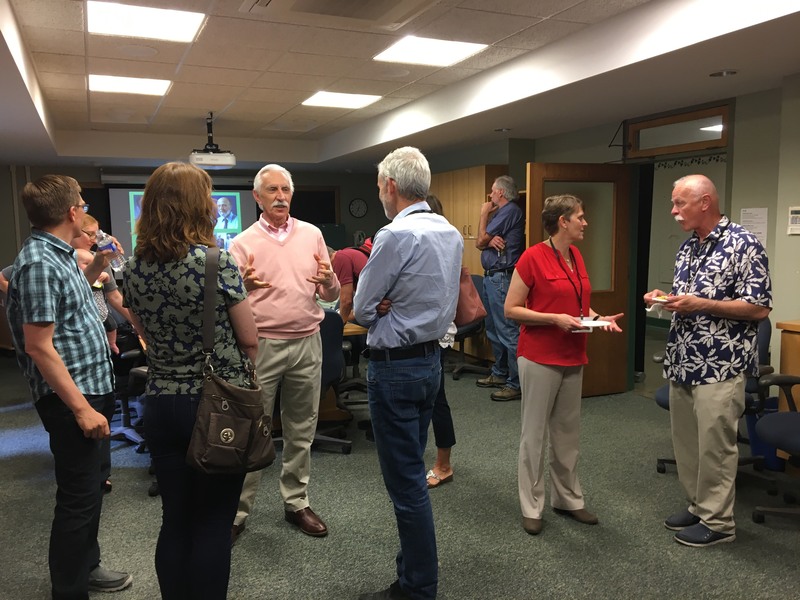 Over fifty alumni stopped by the plant science alumni gathering and Liberty Hyde Bailey Conservatory open house, held on Saturday, June 9 as part of Cornell’s 2018 reunion weekend. 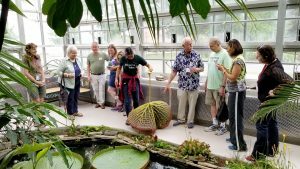 The conservatory tours given by Karl Niklas, Ed Cobb, Patty Chan, and others were especially popular, with the titan arum, Victoria lily, blooming vanilla, and insectivorous plants drawing the most enthusiastic responses. 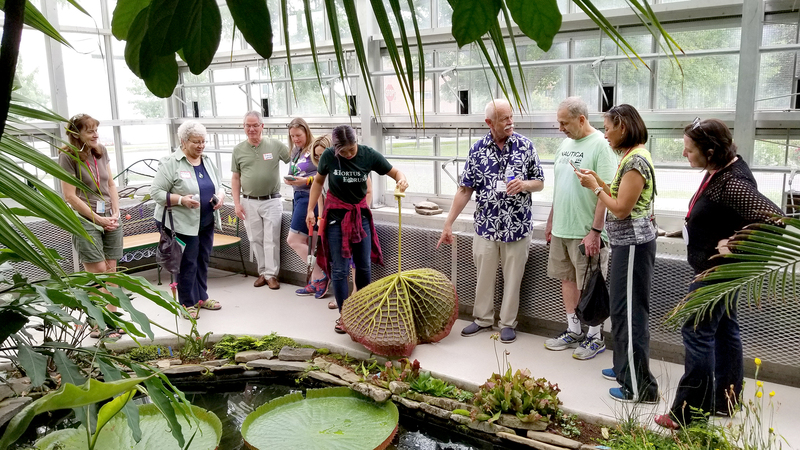 For those who have not visited campus in the five years since their last reunion, the open house represented their first opportunity to see the re-built conservatory. Refreshments were provided and historical photos were on display in Plant Science G22.